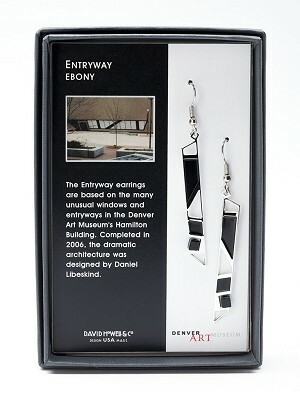 The Entryway earrings are based on the many unusual windows and entryways in the Denver Art Museum's Hamilton Building. 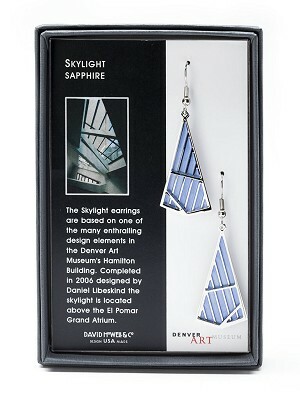 Completed in 2006, the dramatic architecture was designed by Daniel Libeskind. 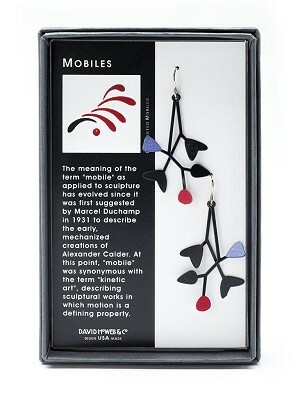 Made of solid brass, electroplated with non-tarnishing silver finish, hand-enameled, glass beads. 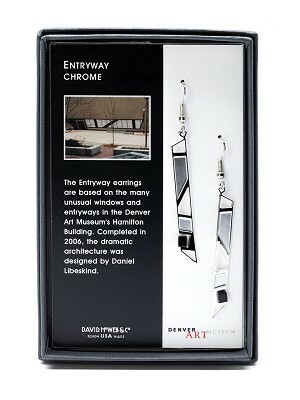 Ear wires are hypoallergenic and they hang approximately 2.5 inches. Made in the U.S.A.